With Glover Teixeira out of the UFC Sao Paulo main event against Thiago Santos, Jimi Manuwa stepped in, but it had to take some convincing by UFC in order to get the light heavyweight fighter on the card. Manuwa is moving down in weight to middleweight to face Santos in the main event fight on September 28 and at first, this was a reason why he didn’t want to take the fight. Manuwa is a top 10 light heavyweight in the UFC rankings and moving down for one fight wouldn’t directly lead him one step closer to a shot at the title, currently being held by Daniel Cormier. Despite this, the UFC explained the potential benefits of winning a main event fight in Brazil against a ranked fighter in the middleweight division. 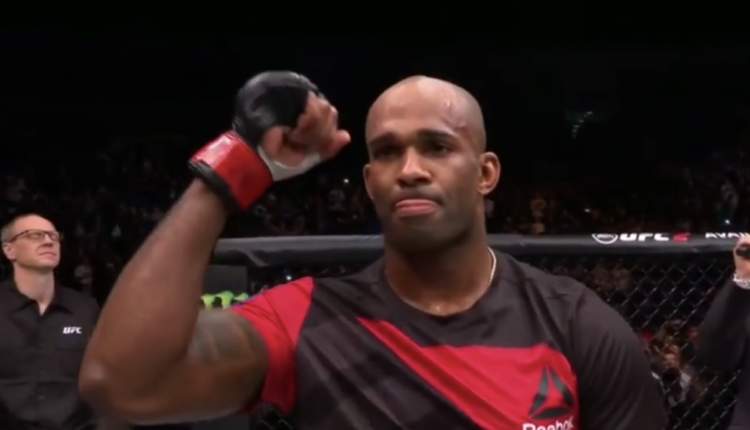 Manuwa added that he’s not underestimating Santos regardless of his weight class.